Lola Nadine Wiley, age 84, of Goodland passed away Friday, November 30, 2018 at the Good Samaritan Society in Goodland. Lola was born October 28, 1934 to Harry and Vera (Bennett) Moore in Goodland. She grew up and went to high school in Goodland. In 1952, she married Harold Riley, and in 1970, she married Robert Wiley. Lola worked for Model Laundry for many years. 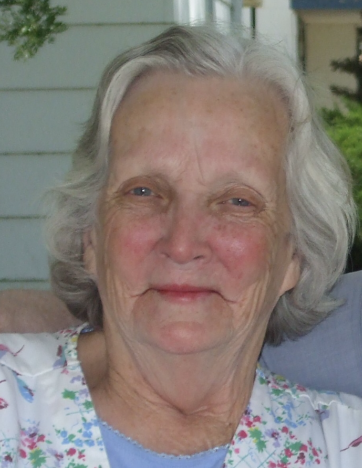 She enjoyed bingo, country music, movies, playing the lottery and spending time with her family and friends. Preceding her in death are her parents; husbands; son, Curtis Wiley; sisters, Norma Ringer, Margaret Wolfrum, Shirley Childers; and her brother, Ellis Moore. She is survived by her son, Michael Riley of Brewster, KS; son, Harold “Max” Riley of Goodland, KS; brother, Dean Moore of Las Animas, CO; nine grandchildren and twenty-one great-grandchildren. Funeral service will be Wednesday, December 5, 2018 at 2 p.m. MT at Bateman Funeral Home, 211 East 11th Street, Goodland. Interment will follow the service at the Goodland Cemetery, North Main Street. Visitation will be Tuesday, December 4, 2018 from 4 to 6 p.m. MT at Bateman Funeral Home, 211 East 11th Street in Goodland.